Today, Google finally stopped kicking the tires on bringing podcast support to Google Play Music! The announcement was made today, and it’s just as you’d expect. You load up Google Play Music and head to the podcasts section where you’ll find a world of content waiting for you. Google’s not doing anything particularly different here aside from their Zagat-like discovery. They’ll group podcasts thematically. Want laughter? Storytelling? Education? 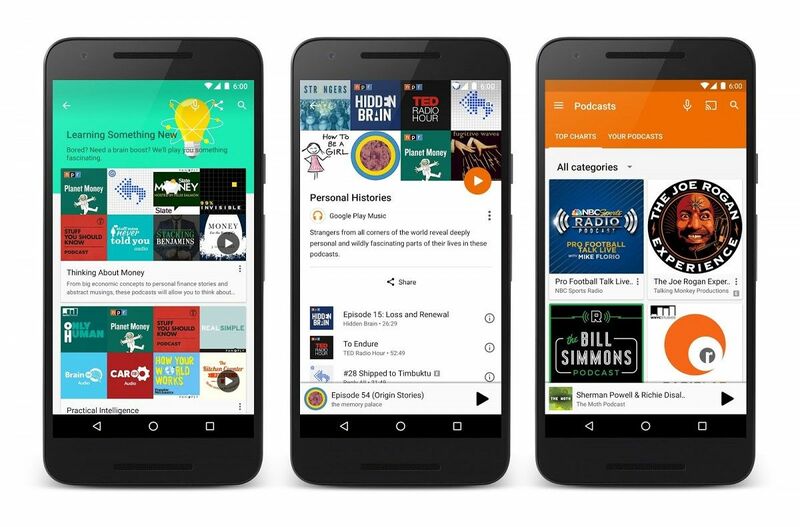 Google will present podcasts that match those themes and genres so you can find something interesting to listen to. You can also discover what’s hot by heading to the top charts. If you’re a content creator, you’ll be happy to know that Google is letting you submit your podcast. If you want to do it for your show all you’ll have to do is head here and submit all your necessary (digital) paperwork. The update is rolling out starting today, though those outside of the US and Canada will have to wait.